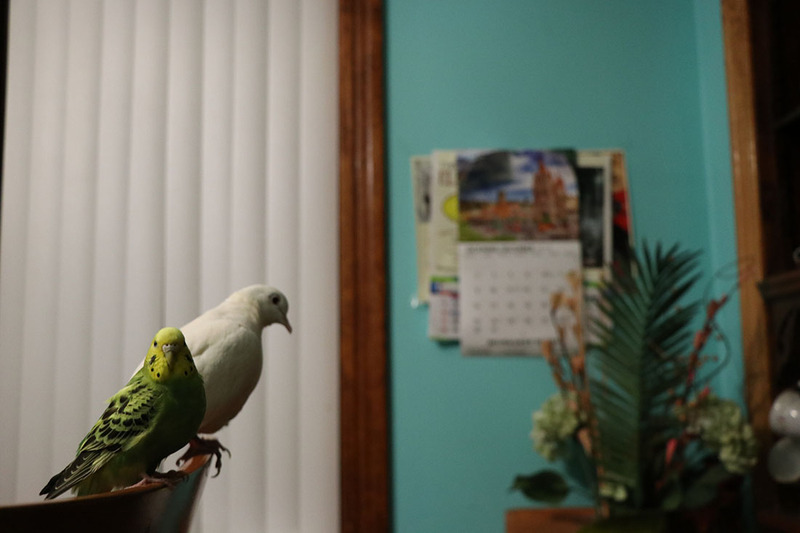 The sounds of chirping birds and fluttering wings punctuate the conversation at Adilio’s house. 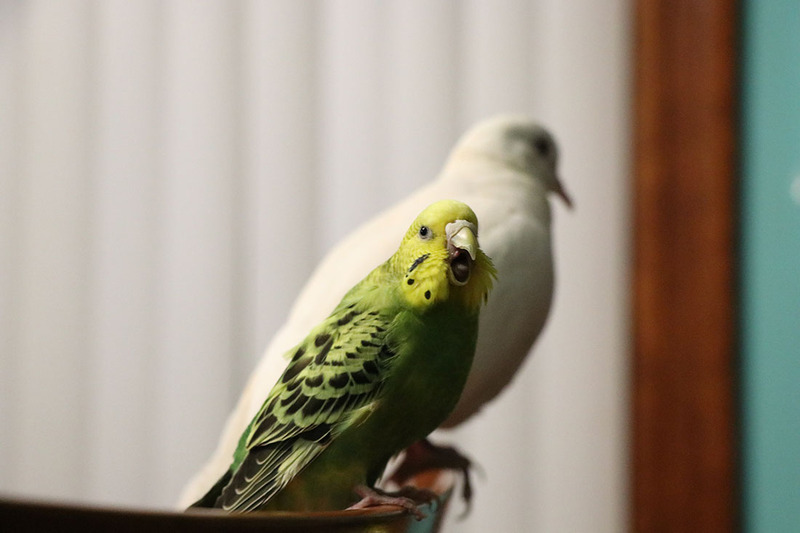 His daughters rescued the smooth white dove and the small green parakeet from the street, he says. Some of the children are grown now, and some are still in school. He always wanted them to grow up speaking both English and Spanish, to get an education, and to love their new country as their own. And he wanted them to all be together. When Adilio (not his real name) left El Salvador the first time in 1993, a veteran of his country’s civil war, his wife was pregnant with their first daughter. 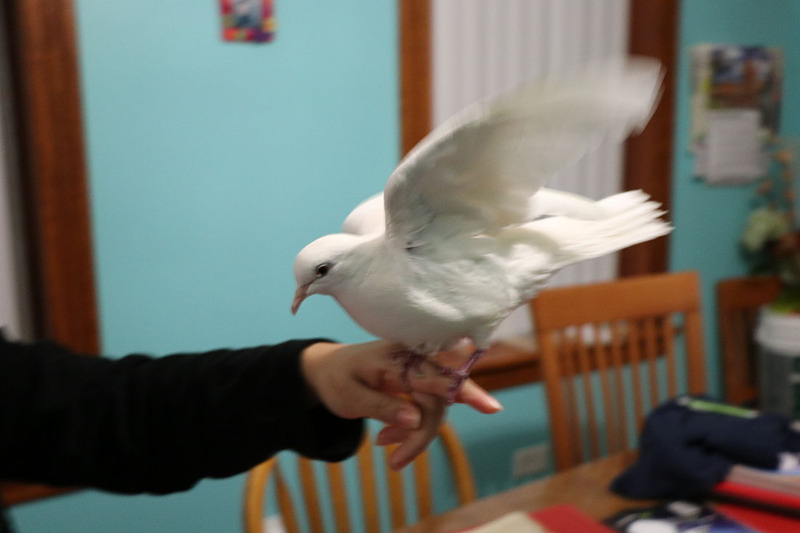 As their family grew, Adilio was away for years at a time working construction in Chicago. After years of separation, he saved enough money to bring his family to join him in the U.S. But now, as President Donald Trump’s administration attempts to terminate Temporary Protected Status for immigrants, Adilio worries he will be forced to leave them again. “That would take years off my life, to separate from my family,” Adilio said in Spanish, his voice breaking. Temporary protected status was intended, as its name implies, to be temporary: a relief for people from countries experiencing ongoing armed conflict or natural disaster who cannot return home safely. Salvadorans in the United States were designated for TPS in 2001 following a series of devastating earthquakes. Their TPS status was routinely renewed for decades by Republican and Democratic presidents. Recipients of TPS have a temporary legal status in which they are authorized to work and protected from deportation, but the program provides no pathway to citizenship. But the Trump administration has steadily been announcing terminations of TPS for more than 400,000 people from El Salvador, Honduras, Haiti, Nepal, Nicaragua and Sudan. Judge Edward Chen issued an injunction Oct. 3 in federal court temporarily blocking the termination for TPS holders from four of these countries, including El Salvador, citing evidence the government’s decision may have roots in “animus against non-white, non-European immigrants.” A separate lawsuit pending in federal court in Massachusetts also includes Hondurans. While the injunction remains in place, TPS recipients from El Salvador, Haiti, Nicaragua and Sudan retain their protected status. If the injunction is lifted, 250,000 Salvadorans who have been in the country for nearly two decades could lose their protected status as soon as Sept. 19 of next year. But Adilio’s life — and family — are here in Chicago. Oscar Chacón, executive director of Alianza Americas, an immigrant advocacy organization that has a Save TPS campaign, called the injunction a “positive development,” but cautioned that it is not permanent. “There’s no question that it’s a silver lining in a storm of bad news otherwise. but at the same time I think it is crucially important that people understand that this is under no circumstances something that we can bring to the bank or take for granted as something that will remain in place for the long term,” Chacón said. House Minority Leader Nancy Pelosi (D-California), who is poised to become Speaker of the House when the Democratic majority takes power in January, pledged recently that House Democrats “will protect TPS recipients and those pledging unimaginable violence.” But it remains unclear how much power House Democrats will have to pass any legislative agenda with a Republican Senate and president. Illinois has about 4,000 TPS holders, including 1,503 from El Salvador, according to the most recent U.S. Citizenship and Immigration Services data. In Adilio’s family, the stress is compounded by the added uncertainty of what will happen to the Deferred Action for Childhood Arrivals program, which protects some undocumented immigrants who arrived in the country before the age of 16, including four of Adilio’s children. The 9th Circuit Court of Appeals recently upheld a lower court order to block Trump’s planned termination of DACA. The Trump administration plans to appeal the decision to the Supreme Court. Adilio said it would benefit the nation to give recipients of DACA and TPS permanent residency. 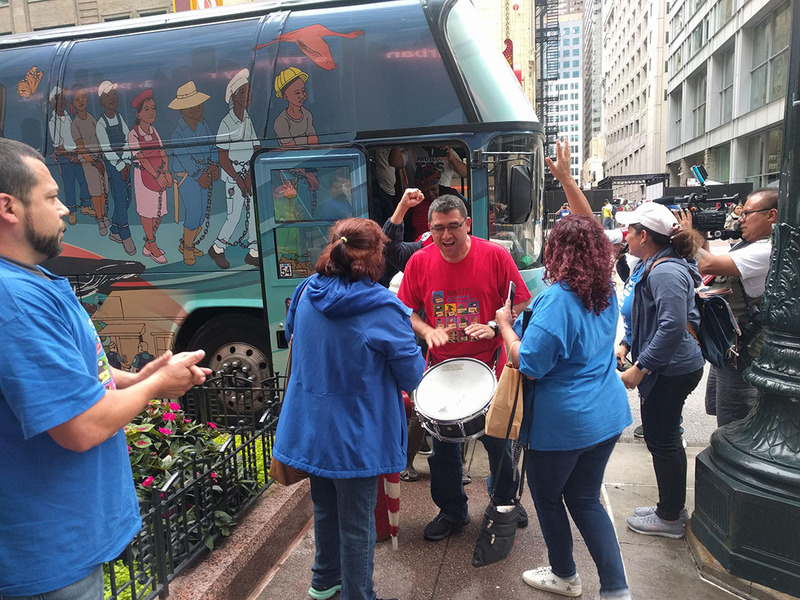 This fall, the National TPS Alliance organized a bus tour to dozens of cities throughout the country, campaigning for permanent residency. The bus tour stopped in Chicago Sept. 6. Adilio happened to be at the Salvadoran consulate to get documents the day the bus tour stopped by. Santos Canales, 47, a New Orleans construction worker who is originally from Honduras, also joined the bus tour. “It’s in the hands of the administration, but it’s also in our hands – to fight and defend TPS and educate society,” he said. Advocates and TPS holders say that countries like El Salvador and Honduras, which have been destabilized by police and military violence, illegitimate dictators, gangs, widespread extortion and lack of economic opportunity, are in no way positioned to receive tens of thousands of people who have not lived there for decades. Indeed, thousands of people from these countries have been fleeing for the United States in recent months, escaping violence and extreme poverty, in what some are calling an exodus. 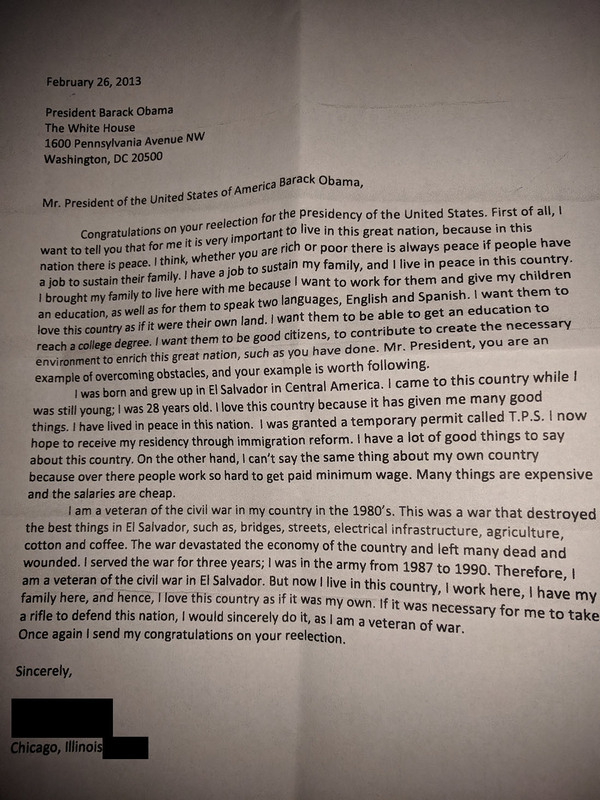 Adilio said he wrote those words because all of us have an obligation to take up arms to defend their country, and he loves this country as his own. While citizenship remains out of reach and the future of TPS is uncertain, he wants to be able to continue with the TPS program or find a solution that allows him to become a permanent resident or citizen. He hopes that politicians will work to eliminate division and racism, and work to protect the country.